Apr 18, 2019 - The Flagler County Sheriff’s Office (FCSO) made contact with a person of interest in the Gray homicide investigation, Teresa Selgado AKA “Alex” on Thursday, April 18th. Salgado was uncooperative and invoked her rights to an attorney. 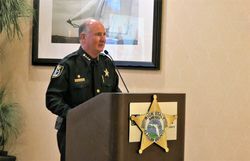 Apr 18, 2019 - Sheriff Rick Staly held a public meeting on “Addressing Crime Together” at the Hilton Garden Inn in Palm Coast on Thursday afternoon with a full room of community members. Sheriff Staly discussed crime trends in Flagler County, the initiatives the Sheriff’s Office has made to improve public service, and revealed new Sheriff’s Office initiatives for 2019. Apr 18, 2019 - This morning Sheriff Rick Staly visited three local schools to present three exceptional students with awards for being “Great Kids” for the month of April. Apr 17, 2019 - Flagler County Sheriff’s Office (FCSO) Detective Fiona Ebrill was named Law Enforcement Officer of the Year for 2019 by the Victim’s Service Coalition of the 7th Judicial Circuit and Halifax Health – Hospice on Friday. Detective Ebrill was nominated for the award by Sheriff Rick Staly and FCSO Commander Jennifer Taylor. 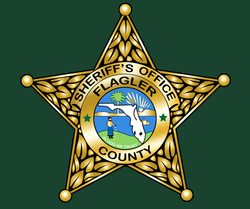 Apr 16, 2019 - On April 14, the Flagler County Sheriff’s Office (FCSO) was alerted that a License Plate Reader (LPR) read the tag of a red Honda CR-V that had been reported stolen in Flagler County. 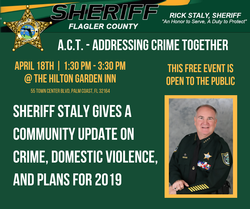 Apr 16, 2019 - On Thursday, April 18th at 1:30 p.m., Sheriff Rick Staly will hold the second annual public “A.C.T.” meeting (Addressing Crime Together) at the Hilton Garden Inn in Palm Coast. 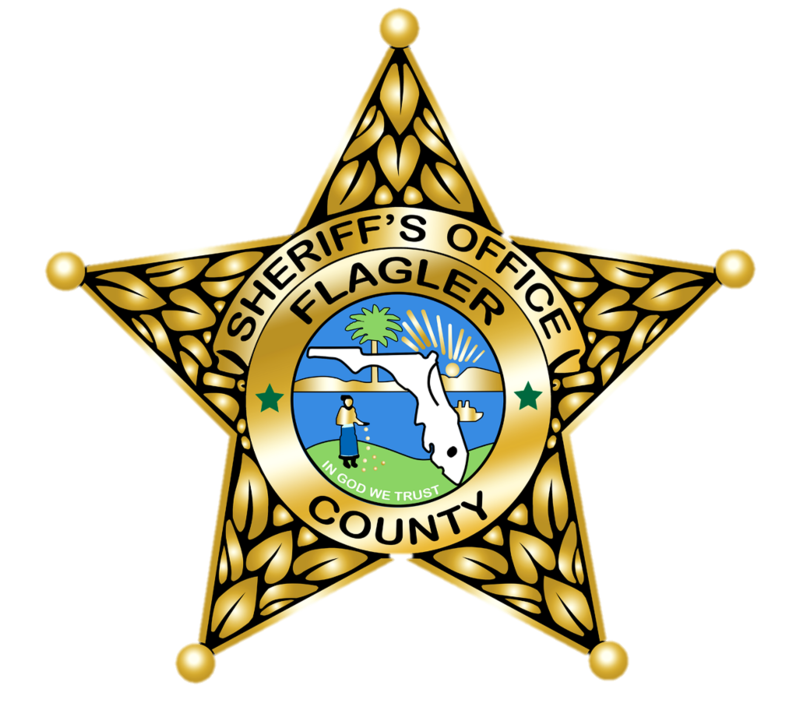 At the meeting, Sheriff Staly will discuss crime in Flagler County, the initiatives the Sheriff’s Office has made to improve public service, and agency plans for 2019. Apr 15, 2019 - The Flagler County Sheriff’s Office (FCSO) hosted its first annual Safety Expo on Saturday, April 13th at the European Village in Palm Coast. Over 1,000 local residents and children stopped by to learn important safety information and visit many neat exhibits from the FCSO and our partners in safety in Flagler County.